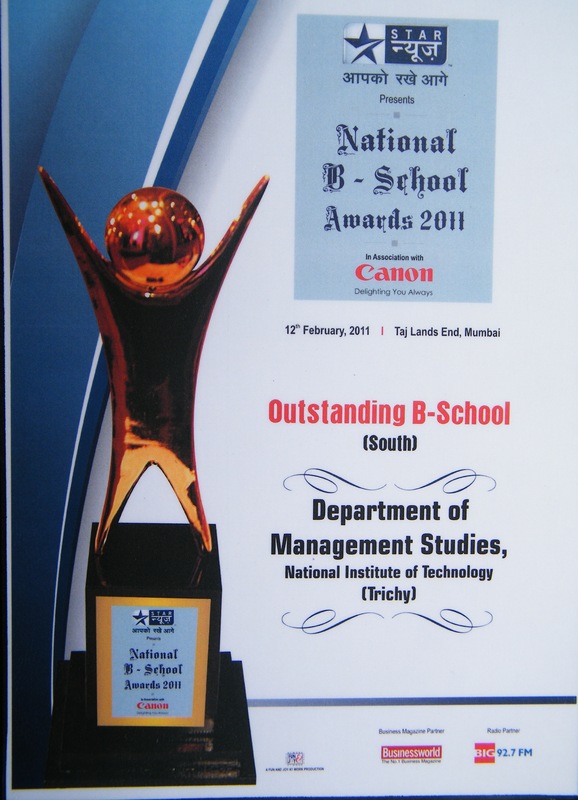 DoMS-NIT Trichy’s commitment to managerial excellence was once again recognised with the Outstanding B-School award(South) by Star News for the year 2011. Former HOD Dr. M.Punniyamoorthy received the award at the function held at Hotel Taj Lands End, Bandra, Mumbai on 12th February 2011. The award is organised in partnership with Business World, a leading business magazine in India. This entry was posted in General and tagged bschool award, department of management studies, doms nit trichy, management, nit trichy, star news, star news b school award.